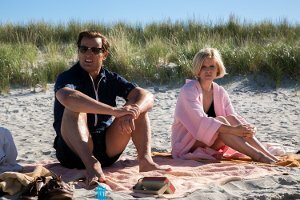 This film takes a look at what became known as the Chappaquiddick Incident, when the young Ted Kennedy drove his car off a bridge into the river, and managed to escape, while his female companion, Mary Jo Kopechne, drowned. Not only did this event take the life of an aspiring political strategist and Kennedy insider, but it ultimately changed the course of presidential history forever. 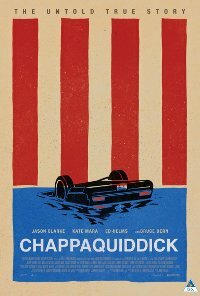 Through true accounts, documented in the inquest from the investigation in 1969, the film intimately expose the broad reach of political power, the influence of America’s most celebrated family; and the vulnerability of Ted Kennedy, the youngest son, in the shadow of his family legacy. No persons under 13 (Language, Drug abuse). Violence Infrequent, isolated, low impact violence of car crashing over a bridge, woman struggling.